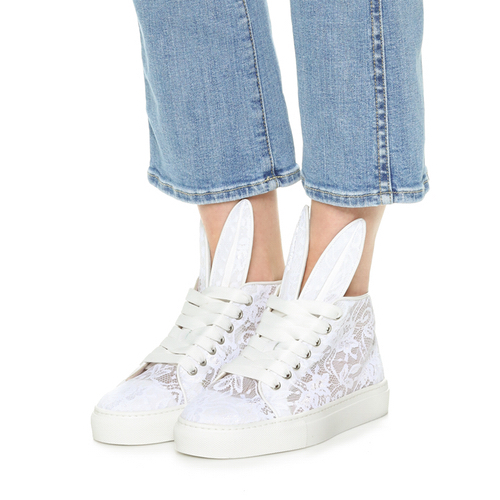 ​Charming Minna Parikka bunny sneakers, composed of sheer lace. Signature ears at the split tongue. Lace-up closure. Rubber sole.